This unholy alliance of Scotland (the whisky), France (the cask heads) and Italy (the vermouth) is a cousin of the much-loved Negroni cocktail, using Scotch whisky instead of gin. The Negroni’s creation is credited to Count Camillo Negroni who around 1919 added gin to his Americano to give it ‘more of a kick’. In this case we’re adding character to that kick. 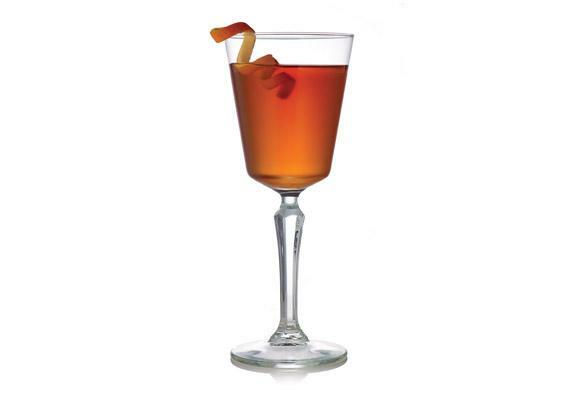 The Unholy Alliance is a twist on the Boulevardier, a Prohibition drink that first appeared in Harry McElhone’s 1927 guide ‘Barflies and Cocktails’ and which used Bourbon rather than Scotch. We believe that the intense fruit and bold spice of The Spice Tree perfectly complement the sweet herb-y vermouth and bitter hints of the Campari to make a cocktail that is invigorating, rich and complex. Stir with ice, strain and serve straight up in a coupe or cobbler glass. Garnish with orange zest.